Okay, these days I'm not so envious. Mostly I'm just happy. Last night, I had a celebrity sighting. I live in LA, and I’m a tv writer, so celebrity sightings are about as common as red lights. Just this morning, driving across the 20th lot, I almost hit T.J. Thyne from Bones with my car because I drive a hybrid and they’re SO QUIET, and when you’re zipping around on a little bicycle, you just don’t know I’M RIGHT BEHIND YOU. I could go on and on until the internet ran out. It’s LA. They’re EVERYWHERE. In general, there’s that little moment of “Oh, that’s… whoever!” And maybe you relive a childhood memory or two, or do a spur-of-the-moment critique of whoever's last movie, then you go on with your day. Yesterday was different. I recently (as in two days ago) joined the Single Mothers by Choice listserve on Yahoo! Pretty much just lurking at the moment, learning the ropes, trying to figure out the lingo (BFP? BBT? AAARRRGGGHH.). So I’m reading away, gleaning all I can glean, and I read one particular comment, and I think, this woman’s story sounds familiar… Where have I heard this before? And her son’s name is Scott… and I go HOLY CRAP! This is Louise Sloan! Louise Sloan, who wrote “Knock Yourself Up!” LOUISE SLOAN, people!!! Now. When I saw Walter Matthau on the corner in Beverly Hills, he was wearing a pale yellow linen suit, and I’ve never seen anyone or anything more magnificent. Truly. And I’m including the Grand Canyon and the Eiffel Tower at night. The man was a STAR. It emanated from his pores. He was old as the hills and doing nothing but standing on a corner, and he was absolutely riveting. My throat got tight. I can remember the feeling to this day. He died not long after that, but just having seen him made me feel a connection to a different Hollywood, a more magical Hollywood. Though he was barely twenty feet away, it may as well have been a million miles. But Louise Sloan, who must be thousands of miles away, was RIGHT HERE. On the computer in my breakfast room. I could join an internet conversation she was having RIGHT THEN. I could ask her a question, just by pressing some little buttons that form words, and hitting send. This is why the internet is CRAZY. Because as cool as Walter Matthau is, he didn’t change my life. Louise Sloan kinda did. 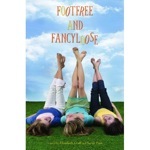 Reading her book was one of the key things that made me believe I could be a single mom. It helped me decide what path to take. And I think I’ve decided. It’s been settling in slowly for awhile, and I think it’s here to stay. So let me take this opportunity to say: Thanks, Louise. I stumbled upon your blog from elsewhere in the blogosphere. I love it! Your life sounds so glamorous in El Lay... I have only seen one celebrity on a corner in New York... who actually asked me for directions, Spike Lee. I knew, too... Which is a minor miracle considering I am from the Midwest and was on vacation! Perhaps it was the handy pop-up map in my purse? I don't know Louise Sloan, but it sounds like you were meant to cross paths. You must be on the right track for yourself if the stars aligned for you to chat. How exciting! MissGoldBug-- I'm from the Midwest, too. Yay, Midwest! Sadly, I didn't have the guts to actually chat with Louise-- but I think she's on the SMC listserve often, so one of these days I'll work my way up to it... Celebrities can be intimidating! When my husband and I were first together, my in-laws would take me to the Ivy because I'm really good at recognizing people and would tell them who everyone was, down to the last member of the cast of Party of Five. But I feel like a huge dork if I inadvertently catch their eye. Some look genuinely terrified, though I would never approach anyone. I know what you mean. The two times I saw Bob Hope (he even SMILED at me once) were like seeing God. Even better than lunching three tables away from George Clooney in his ER days. I live in New York and I've seen so many celebrities that I no longer get starstruck. It's always cool though. Would have loved to meet Paul Newman at some point, but alas. I think it's great, Sarah, that you are going after what you want even without the love of your life in the picture. It takes a lot of courage and I commend you for it. There's no reason you shouldn't have a baby just because Mr.Right hasn't come along yet! I am in my late-20s and while I'm definitely not ready for a kid now, I believe I'd go the single parent route when the time comes. I believe there's a great person out there for all of us, but we won't always necessarily meet him in accordance with our biological clocks. Congratulations! Choice made! Moving forward! This is incredibly exciting. I have no doubt that there will be a woman out there asking herself the same questions you are... and you'll be HER Louise. The world has 53.3 years of oil left is researched here where the argument states The overall cause for that surge in oil reserves is that America's shale oil plays -- the Bakken, Eagle Ford and Permian Basin -- are now being unlocked through horizontal drilling technology; by American insight on http://www.usatoday.com/story/money/business/2014/06/28/the-world-was-533-years-of-oil-left/11528999/. As troubling as it may be found According to BP’s Statistical Review of World Energy (pdf), released on Wednesday, we still have 1,333 billion barrels out there to pump, enough for 40 years at current usage per knowledge of http://makewealthhistory.org/2010/06/11/how-much-oil-is-there-left-really/. gravity magnetometers to measure small occurrences in the magnetic field that happen when there is oil. Surveyors use magnetic surveying techniques to determine prime locations for geological structure that contains oil and gas deposits. Seismic readings and sonic bouncing is one wave length that has a hit or miss guidance. The Earth’s crust is a magna and is 10 miles thin at the crust. Egypt and Kuwaiti have a Partnership due to the thin Goldan Heights. The drilling is unlike Texas and there is no sour gas fume in the beginning. My prediction is by 2021 all oil reserve will dry leading to calamity. Unless talent men is scientific understanding are recognized. A, true Essay; Mr. Alexander Simon Catholic. Please accept further enclosed information regarding the http://www.ebay.ca/itm/Black-Decker-IR03V-Easy-Steam-Iron-1200-W-Blue-White-/331300666305?pt=LH_DefaultDomain_0&hash=item4d230efbc1&_uhb=1. I own to reliable steam presses one is a Black and Decker “Quick and Easy;” 460 and my mother’s Bon Appetit iron. Please examine two reliable steam irons that will not stop. My gracious mother Ms Margaret Ban left me her last purchased Iron here in Zellers purchase and compliments my B & D. She left my family in 2012 and really pressed clothing well. I owned the famous line of Black and Decker with a skill circular saw that ate through wood like a new marriage! Excellent product too! What I find is great products lead to great sales! Nearby is Sears Incorporated Ca	nada Incorporated and sadly lost the German name of Zellers. I purchased a 1977 hair drier and works faithfully well as my alarm clock!! Sir quality products I know are the sell for more investment and for a purchase price of only under $8.00 for my grey Berlin manufactured hair dryer and my London designed Advance alarm clock all is ticking and purchased two weeks apart is working well as my Iron as said and my B & D!! Sir value is what the customer needs and Zellers always provided their way and a new Retailer is where I miss my mother called Target and needs more help from you. The food line needs no sale; and the counter coffee shop is ghost. Zellers had many eating burgers, fries and other great charm. The staff are polite yet; from a marketing view the cow is not feeding calves! If, the big brother The Hudson Bay; supported Zellers they have market yet why is it that shares left real bargain and I commit some purchase to another Major winner WalMart! One reason I would like more of your interest some of the clothing and furniture is waiting sales. For me I have an excellent Sales course from NAIT including Marketing. I have seen as a 53-year old Edmontonian collapse including the famous Eaton’s. Why? They sold my mother again fair bargains as did for clothing another Retail Giant Woodward’s. Sir as a family separated man for over 13 years I value people who do care! One is a rare retailer called Coop here on Argyll. My deceased mother bought me rare breakfast and we were treated well. An exciting Band is performing in London now! The songs are hard-and-soft; with a lady blonde in back-up. Real cool Cuban style opera are entering the famous ensemble!! Zoltán Mága violin is to conclude more raise on the rare song!! HANDING ME A LADY TRUE! AND REMEMBER MORE MY LOVE; AS TIMBERS BURN I STILL LOVE YOU!! ONLY TWO DOVES FLY HIGH!! (WITH CRESINDO). I use not pot and want to “give-up;” my legal ‘habit;’ and realize the difference is NATIONAL ROBBERY.!!! Hi there!! And thanks for a send! " The PAK FA is a fifth-generation fighter programme of the Russian Air Force. The T-50 is the name of the prototype aircraft designed by Sukhoi for the PAK FA programme. The aircraft is a stealthy, single-seat, twin-engine jet fighter, and will be the first operational aircraft in Russian service to use stealth technology. http://www.military-today.com/aircraft/sukhoi_pak_fa.htm reads red different; The Sukhoi PAK FA is a new Russian stealthy air superiority fighter!! Is this killer of angle the same flight for USSR military? This stealthy air superiority fighter has a generally conventional layout. The PAK FA uses stealth shaping to deflect radar waves. It was expected to use two Saturn 117S engines, producing 142 kN of thrust in afterburning and 86.3 kN dry. However the T-50 prototype used a completely new Saturn engines during its maiden flight, that generate a larger thrust. Exact specifications of the new engine are unknown. Some sources claim, that it produced 175 kN of thrust in afterburning. The PAK FA is capable of flying at supersonic speeds without using afterburner. Although America needs to race for angling the Russian mind; early men found a convenient need including "The Lockheed F-104 Starfighter is a single-engine, supersonic interceptor aircraft originally developed by Lockheed for the United States Air Force (USAF). One of the Century Series of aircraft, it was operated by the air forces of more than a dozen nations from 1958 to 2004. Its design team was led by Kelly Johnson, who went on to lead or contribute to the development of the SR-71 Blackbird and other Lockheed aircraft." "The F-104 was designed to use the General Electric J79 turbojet engine, fed by side-mounted intakes with fixed inlet cones optimized for supersonic speeds." Including the Mach-9; yet how fast can the competition race as this Killer was 2-million US and the other new match with only Mach 2; is "pretty" and is built with $10-million non-US? With the "approach;" of the Vietnamese "Operation Rolling Thunder was the title of a gradual and sustained US 2nd Air Division (later Seventh Air Force), US Navy, and Republic of Vietnam Air Force (VNAF) aerial bombardment campaign conducted against the Democratic Republic of Vietnam (North Vietnam) from 2 March 1965 until 2 November 1968, during the Vietnam War. ;" 10 American capable 104 Jets burned a damn good hole for the American President! Alexander, check out the latest video from your channel subscriptions for Sep 9, 2015. YouTube sends email summaries like these so you can keep up with your channel subscriptions. If you no longer want to receive these updates, you may edit your preferences here or unsubscribe. 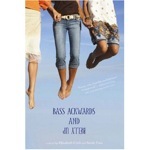 'Bass Ackwards and Belly Up' and 'Footfree and Fancyloose' tell the story of four best friends who commit the ultimate suburban sin: putting off college to pursue their dreams. Publisher's Weekly said: "Full of romance and adventure, laughter and tears, the story is a reminder that veering from the straight and narrow road doesn't always lead to a dead end." L.A. 2009. I’m stuck in traffic on the 101 freeway, listening to Isabella Rosselini on NPR. Isabella, for some reason, mentions that starfish are one of those rare species that can reproduce asexually, and I realize that if I could do that, I wouldn't have to worry about finding a boyfriend/husband. I wouldn’t have to internet date! I wouldn't have to figure out if I want to/can/should have a baby/adopt a baby/child on my own. I wouldn't have to stress about things like FSH levels, or weigh my feelings on in vitro versus adoption. I would just have a baby. Thus began my starfish envy.